Located on Central Park at 1 West 72nd Street, the Dakota might be the most extravagant residential building to ever lay your eyes on. 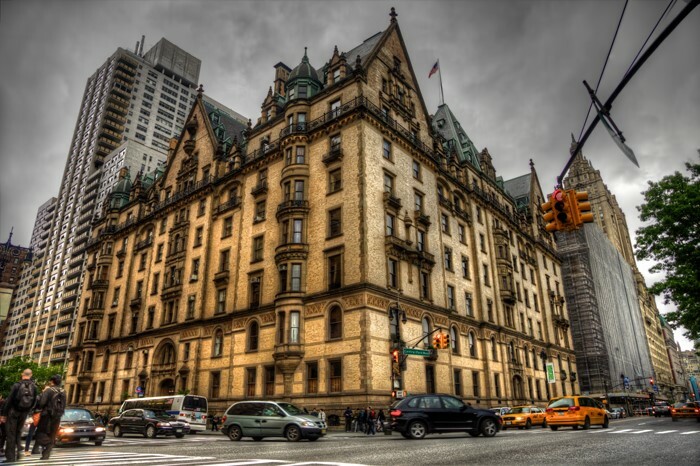 Built between 1880 and1884, the building is known to be one of Manhattans most prestigious and exclusive buildings and was designated as a National Historic Landmark in 1976. There have been countless notable residents who have lived in this building over the years and many famous individuals have even been rejected when trying to buy a residence here. This building may interest all those paranormal fans, as there has been reportedly many ghost sightings and the south entrance of the building was the location of the murder of John Lennon. There are 93 units and 9 floors throughout the residence. Current listings range from 5 bedrooms and 3 bath for $20,500,00 to 2 bedrooms and 2 baths for 3,880,000. However, it is not easy to apply. Many have to go through a rigorous application process and then may still get denied. Although maybe too exclusive for the average New Yorker, this historical landmark is definitely worth the visit. 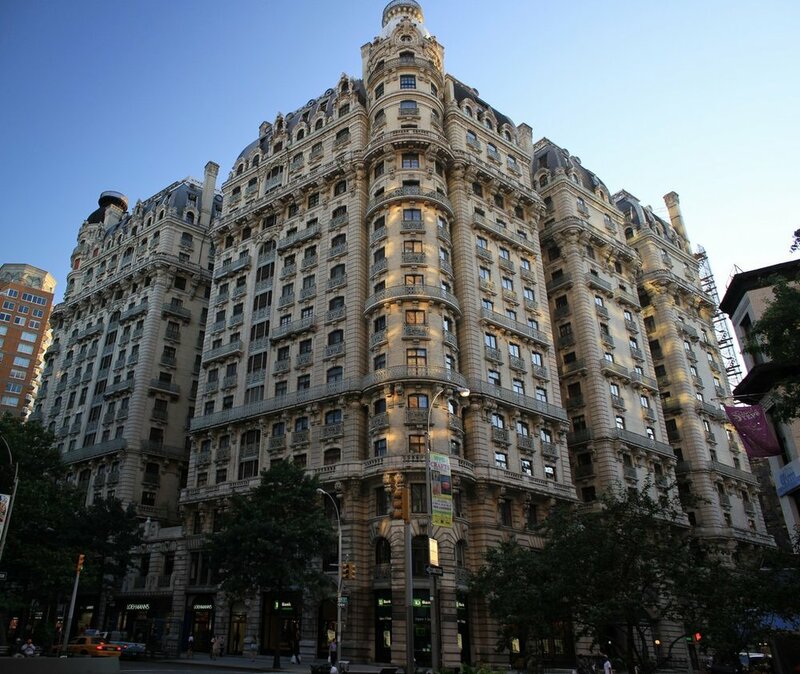 With the intent to build “the grandest hotel in Manhattan”, the Ansonia is a residential building located on the Upper West Side between W 73rd and W 24th. It was built in 1899 by William Earle Stokes and the “architect-in-chief” was Stokes himself as well. A fun fact about this building was that it was the first air-conditioned hotel in New York. It was originally eighteen stories and was considered the largest residential hotel of its day. After decades of renovations, the Ansonia was converted to a condominium apartment building with 430 apartments and is 17 stories. Currently, listings go from $16,185,000, which includes 7 bedrooms and 5 baths to $2,295,000, which includes 1 bed and 1 bath. If you are looking for a place that offers an immense amount of history, this is the place for you. 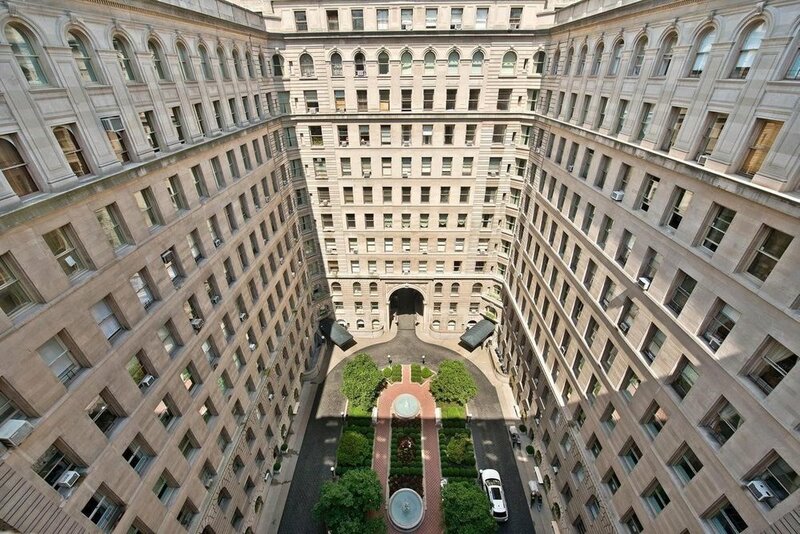 Built between 1906-1908, the Apthorp is a historic condominium that occupies a full block between Broadway and West End Avenue between 78th and 79th. Known as monumental and magnificent, the building is built around a large interior courtyard. It was designated a New York City landmark in 1969 and is listed on the National Register of Historic Places. It was modeled after the Pitti Palace in Florence for the infamous William Waldorf Astor who had lived there when it opened. The building was named after the owner Charles Ward Apthorp and was eventually sold in 2006 to JSR Capital. The building underwent major renovation and changed from rentals to condos. Currently, a listing for 7 beds and 8 baths goes for $19,600 and a listing for 2 beds 2 baths goes for $2,995,000. Furthermore, we have many quality products that provide therapeutic compression. This property offers more joint stability than conventional clothing does. Pieces that possess this feature decrease muscle oscillation, helping your body absorb shock and mitigate the wear and tear. This is of great help to those who perform high impact activities in the league of running. More mechanical efficiency can also result in lessened injury risk and help people fine-tune their fitness performance. It must be noted that an input from the mind plays a role here and colors the results. In other words, there is also a placebo at work here, but one that induces tangible enhancements. Also, the good news is that no study identified any negative psychological effect of compression apparel. Therefore, you do not have much to lose if you decide to give these products a try. Trying it out yourself is the best way to assess the benefits anyway. You might be able to elevate your workout routine altogether and move full steam ahead towards your goals. If you do not mind the feeling of being squished and believe compression clothing could be what you miss to kill it, then you should go for it. Just do not expect miracles from it. These innovative garments give a nice push, but you have to sustain the momentum yourself. The psychological effects are much more consistent than the concrete evidence on aspects like oxidation and recovery. So, to witness real improvement, compression garments should work in synergy with other factors, most notably your mindset and dedication. Use it correctly, pull the weight, and kick your game into overdrive.